What type of hawk is this? Took this today in Ridgefield Connecticut. 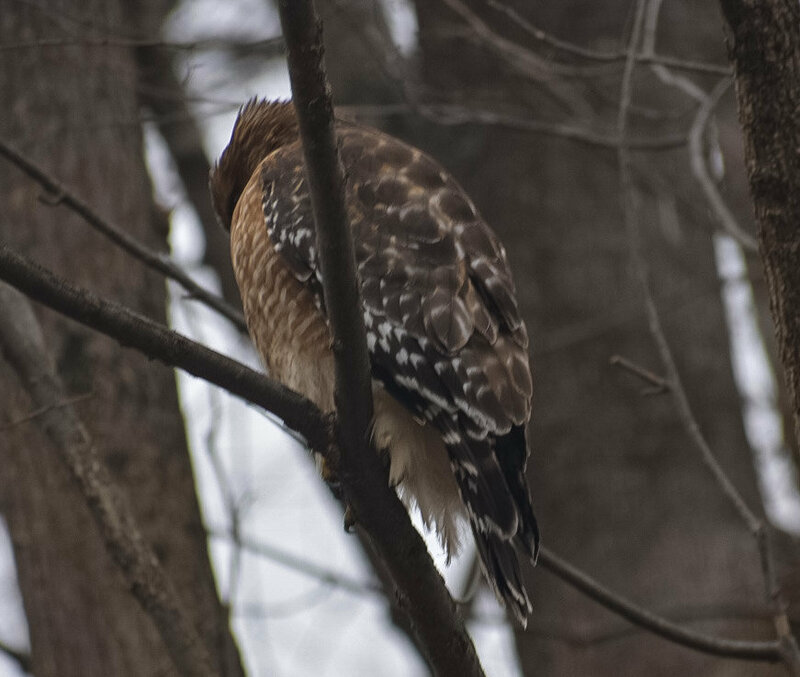 Im not sure which hawk it is. 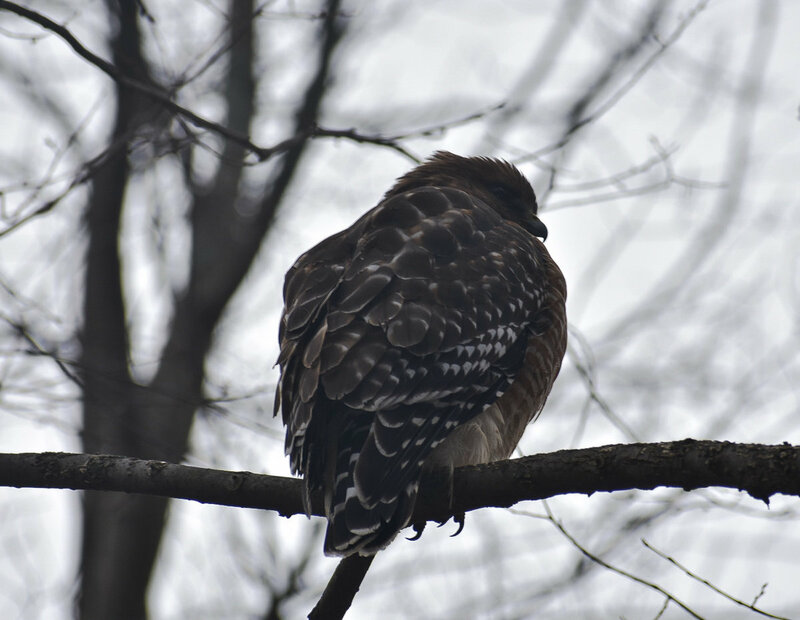 The combination of the orange barring on the belly and the black and white pattern on the wings and tail make this an adult Red-shouldered Hawk. Accipiters have longer tails with wide gray and black bands and they lack the checkered pattern on the wings. 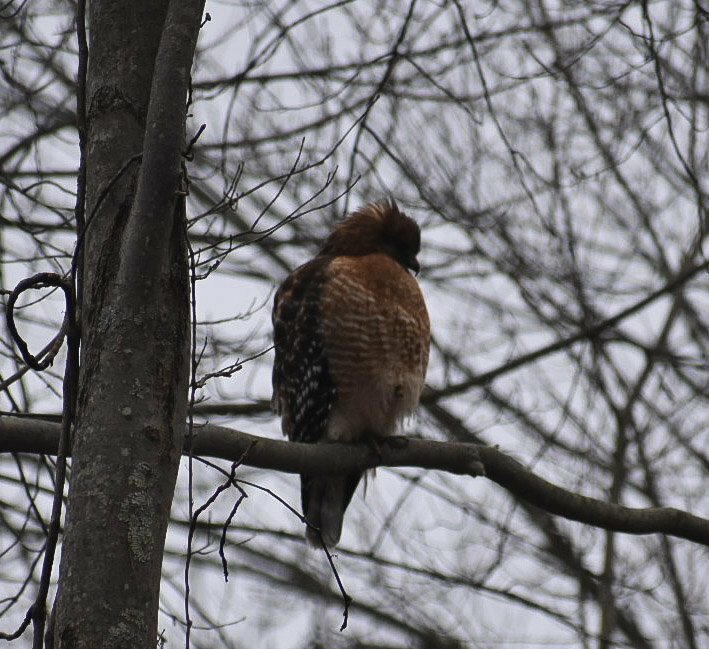 This is a red-shouldered hawk. Note the shorter tail, cool white markings on the wing, and the reddish breast. I agree, adult Red-shouldered Hawk. And, (from one Bird Brain to another), nice shots!